Today is part 2 of my vegan HECK sausage reviews. Yes they have been beavering away the last four years to create 4 new plant based sausages and last week I reviewed their The Beet Goes On & Super Green Saus, and today it is the turn of the HECK Bollywood Bangers and Sweet Fusion Sausages. With the seal of approval for being vegetarian and vegan, these high fibre sausages are £3.00 a pack and can be found in Asda. Larger Sainsbury’s are currently only stocking Sweet Fusion Sausages and Super Green Saus, so if you want to give them all a go, Asda is where it is at. To cook it suggests the best results will be achieved if pan fried in a little oil for 10-12 minutes, so this is indeed what I did. You will need to gingerly get these out the packet as there are on the squidgy side. Although of similar colour they are certainly not similar in taste whatsoever. These Bollywood Bangers, which the name alone I love, smell and taste of curry. 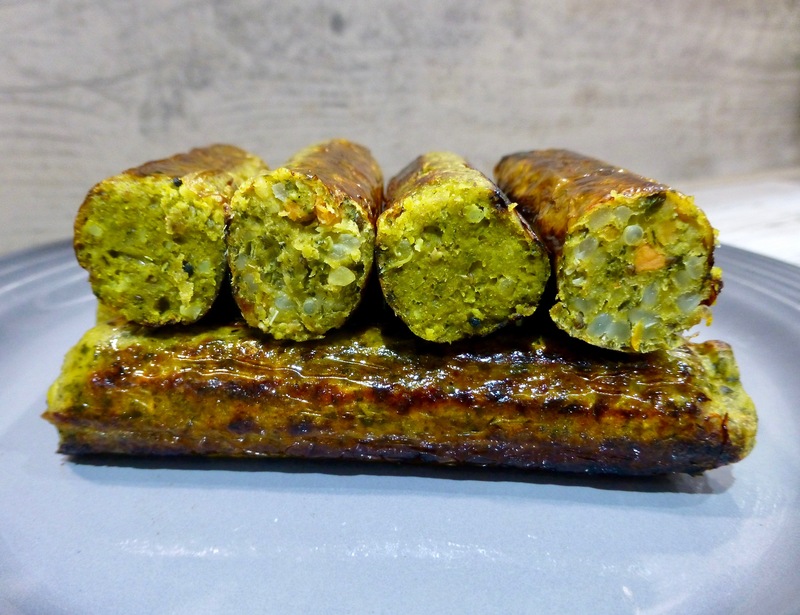 These Indian inspired veggie based sausages had the base of a classic curry with the use of chilli, ginger, cumin and turmeric and all of these flavours certainly came through. Oddly in comparison to the sausages I reviewed last week, these were very much muted in the chilli front which I didn’t mind. I love the suggestion of pairing these with mango relish and cucumber raita, and kick myself for forgetting to buy this as it sounds perfect! 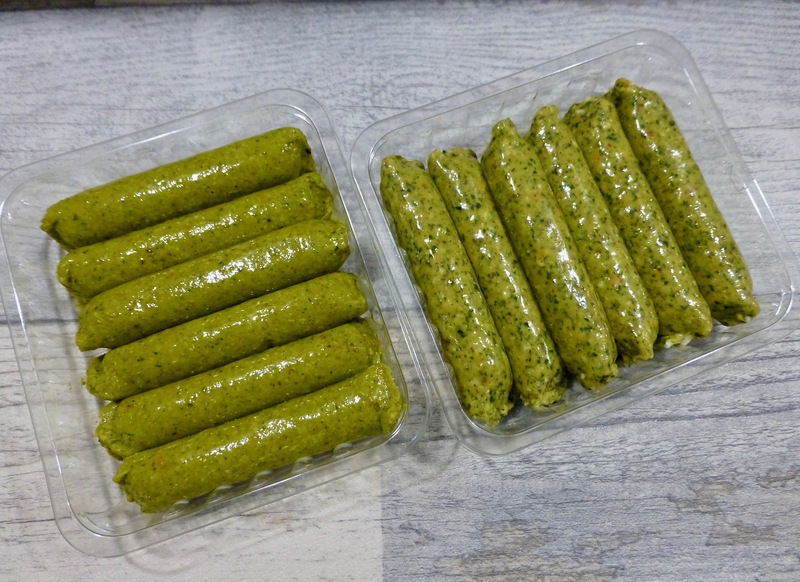 These Sweet Fusion sausages were exceptionally fragrant which is thanks to the thai pesto which made up 25% of the ingredients. I do not think you could get a fresher fragrant sausage if you tried and these are certainly going to be the star of any dish. For me though I found them to be a tad too overwhelming and I would probably give this sausage a miss. Well what can I say HECK you have smashed it when it comes to your new plant based sausages. My favourites are the Super Green Saus and The Beet Goes On, although I enjoyed The Bollywood Bangers I probably wouldn’t go for these that often. Certainly a welcome change and you cannot accuse these of being boring! Have you tried the new HECK vegan sausages? What are your thoughts?